In chess, it is amazing to consider how short or long game may be. To the former the quickest mate is as follows: 1. f3 e5 2. g4 Qh4++ This is known as Fool’s mate (there are other variations of this mate). And yes, a draw or resignation may occur before a move is played, which can occur in the case of a tournament standings scenario or a player that fails to show up for his or her game, respectively. 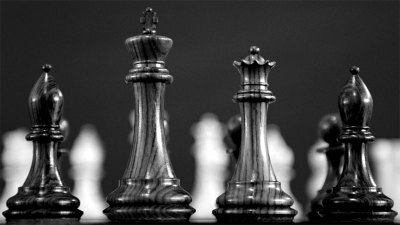 The longest tournament game of chess lasted for 269 moves (20 hours, 15 minutes), which ended in a draw. Theoretical estimates for the longest game are varied and extreme (5,000+ moves), which are complicated by special rules (and bad play! ); i.e. the 50-move rule and 3-move repetition. There could be a top 10 list just on the Queen, which has undergone some changes over history. Starting out as being able to move only one square diagonally, it was later able to move two squares – and further along the road, able to move like a knight. Of course now, thankfully, the queen can move diagonally, horizontally, and vertically to the scope of another piece. Originally the Queen was the “first,” a counselor or prime minister, the king’s advisor. 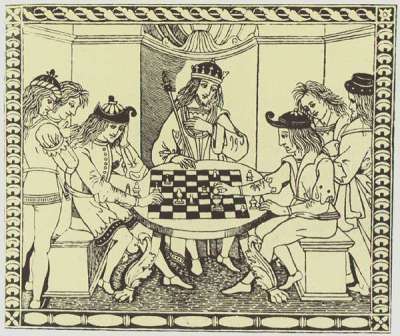 The Europeans later changed it in the 1400s to become the strongest piece in chess. Blindfold chess is real and documented in world records. It is as it sounds: a player makes all of his or her moves without looking at a board. Usually, there is a “middle man” of sorts to give and receive moves for the game. 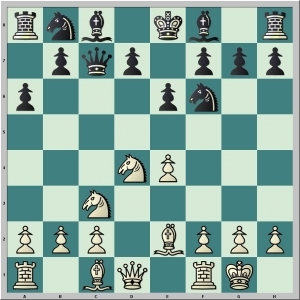 After three moves – that is three moves by each side (each “move” in chess takes into consideration a move by White and Black) – there are over nine million possible positions. Similar calculations have been made; if you’re mathematically inclined, look up Shannon number for estimates on the complexity of chess. The possibilities in chess add to its beauty. You surely don’t have to worry about the same position when you play, which lends to the importance of pattern recognition and position-specific strategies. In other words, you have to think when at the board – it’s not all the same. The opening theory goes nicely along with the “endless” possibilities regarding chess. An opening is defined as a series of moves to start out a game, which can include many different sub-variations. There are well over 1,000 different openings, including variations within larger openings/defenses that one can learn. To no surprise, the market of chess variants is wide and varied (sorry, pun intended). There are some variants that alter the pieces, the board, and anything from putting three chess boards on top of each other. You can even put two chess boards side-by-side and play Bughouse – where you capture a piece and hand it to your opponent for placement. Chess boxing has emerged in recent years, mixing in a round of boxing for a pre-defined time on a chess board. You fall on one front, and you lose. It brings another interesting aspect to the world of chess and its variants, which certainly appeal to some people looking for a new twist. In 2006 world champion Deep Fritz defeated Vladimir Kramnik, furthering the statement of the strength of chess computers. Today chess programs are easily available to chess players that are essential in analyzing games and improving. They commonly rate within the same strength of Grandmasters. 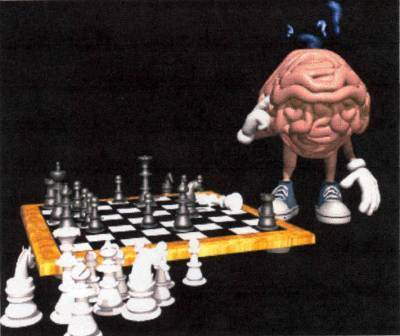 Chess is often cited by psychologists as an effective way to improve memory function. Also allowing the mind to solve complex problems and work through ideas, it is no wonder that chess is recommended in the fight against Alzheimer’s. Some contend that it can increase one’s intelligence though that is a more complex topic. 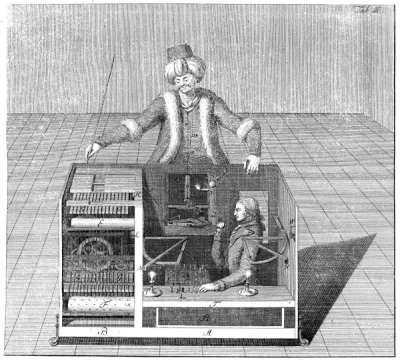 The Turk was an 18th-century chess machine, or so people thought. Victimizing some people such as Napoleon Bonaparte and Benjamin Franklin, it was not a machine. Including an elaborate construction that included a method to hide its operator, a human chess player was inside of the Turk. When it was lost in the fire, the secret was out, and the Turk remains another interesting chess story of all time.